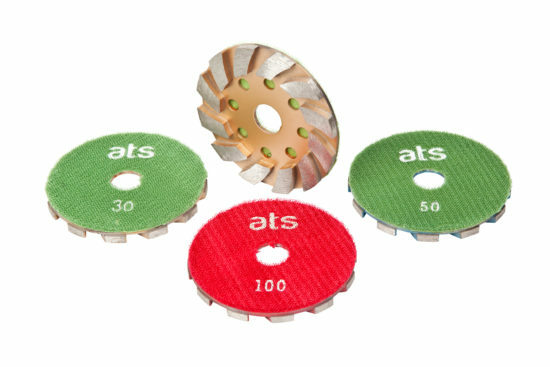 Single row concrete diamond grinding cup wheel with an M14 threaded centre fitting to screw straight on to your angle grinder/polisher. 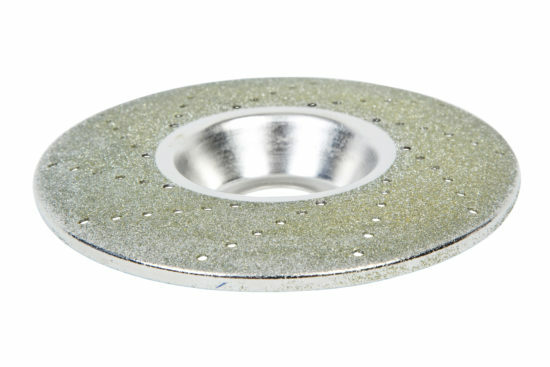 Single row concrete diamond grinding cup wheel with a centre bore of 22.23mm to bolt straight on to your angle grinder. 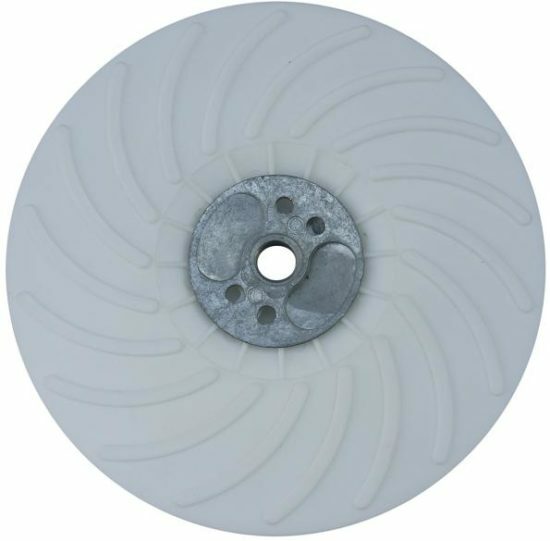 Double row concrete diamond grinding cup wheel with an M14 threaded centre fitting to screw straight on to your angle grinder/polisher. 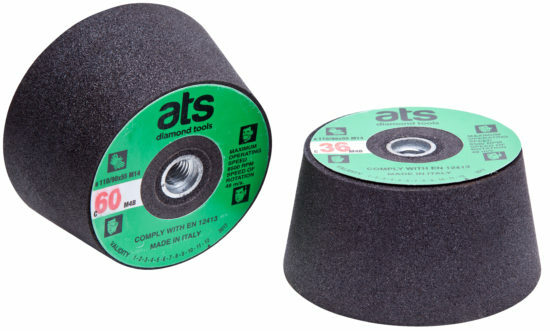 Double row concrete diamond grinding cup wheel with a centre bore of 22.23mm to bolt straight on to your angle grinder. 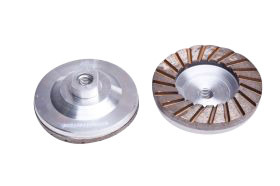 115mm with a 22.23mm centre bore to fit angle grinders and polishers. 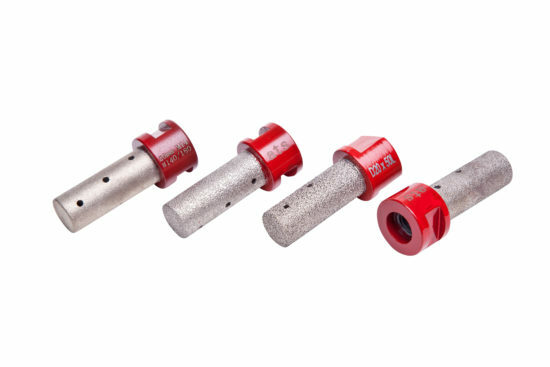 Vacuum brazed diamond grinding finger bits with an M14 thread. 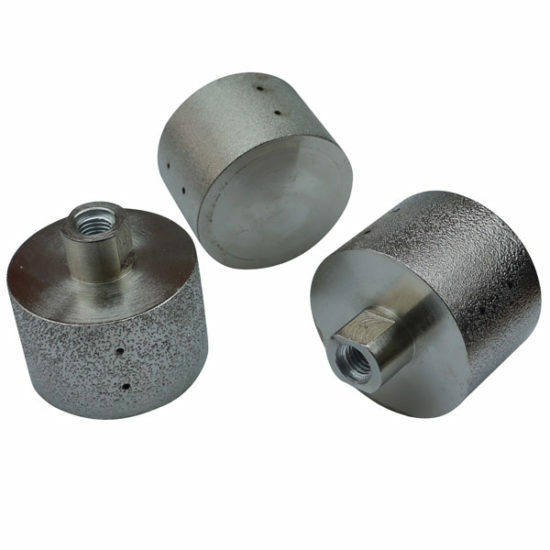 10mm or 20mm diameter. 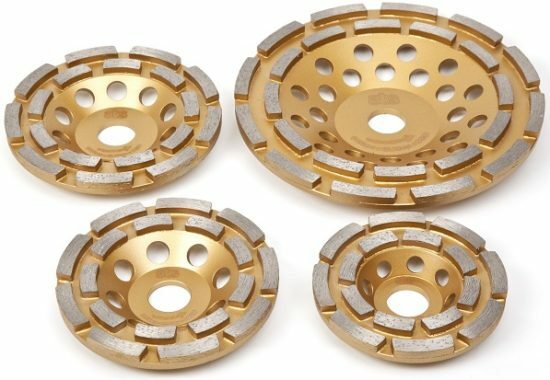 Vacuum brazed diamond zero tolerance drums for squaring up the edge of worktops and sink cut outs. 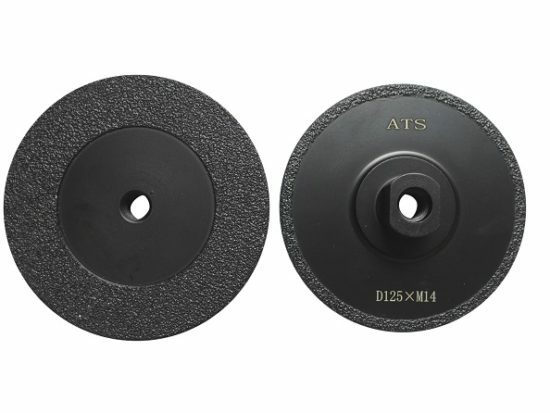 M14 fitment. 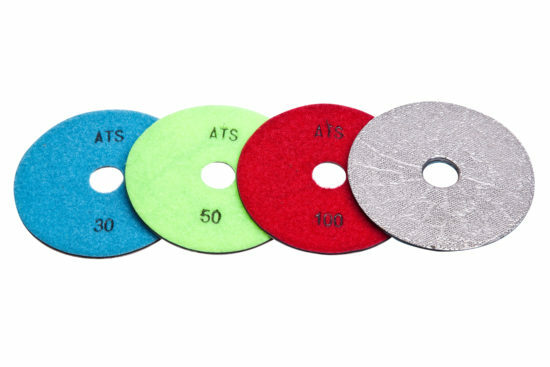 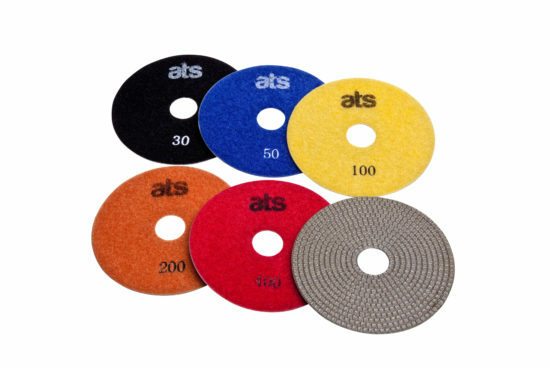 SAITRON semi-rigid silicon carbide discs for use on an angle grinder in combination with a backing pad. 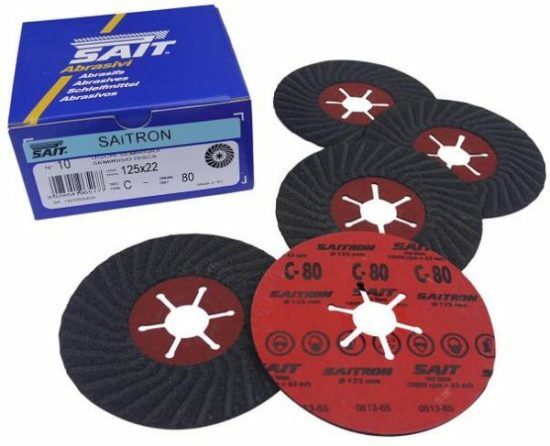 Backer bad for Saitron fibre backed discs, M14 threaded centre flange. 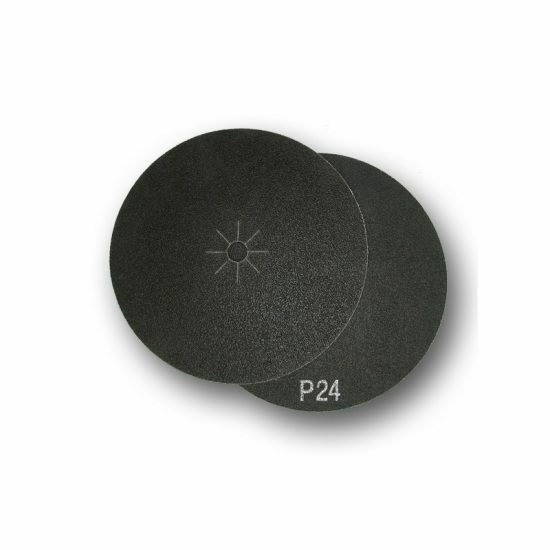 117mm to fit 125mm discs. 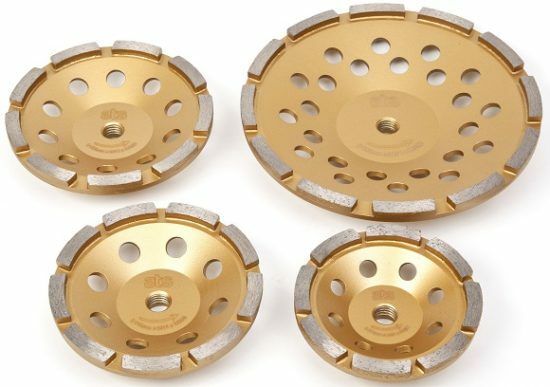 172mm to fit 178mm discs. 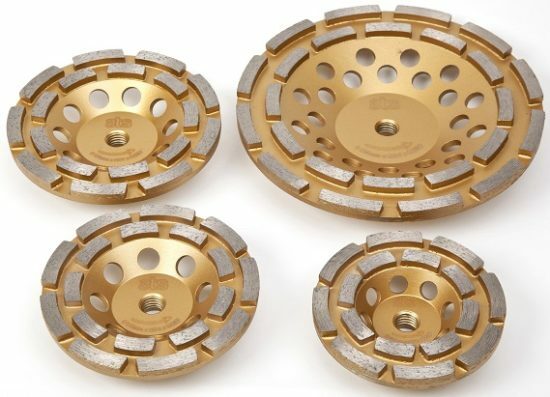 Silicon Carbide cup wheels made up of a solid block of SiC bonded together by Bakelite resins with an M14 fitting incorporated into the block itself. 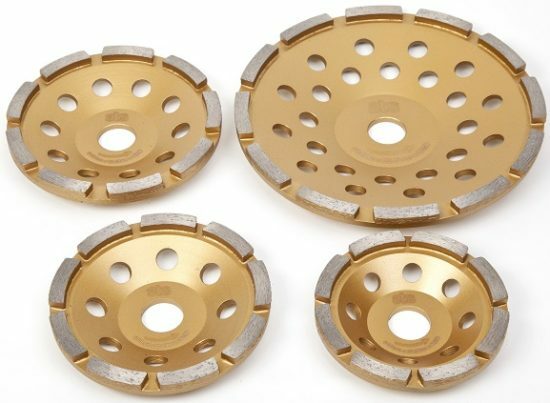 Vacuum brazed diamond cut & grind flush cut blade. 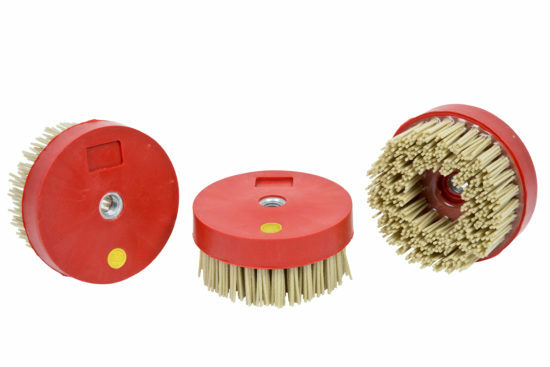 Silicon carbide brush for cleaning and restoration as well as providing an antique finish to marble, granite and other stones. 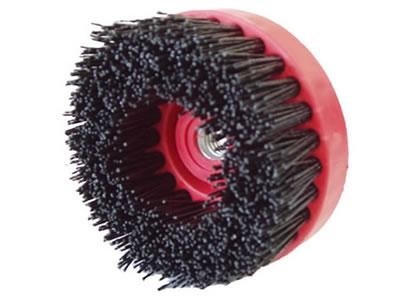 100mm Diamond filament brushes M14 fitting. 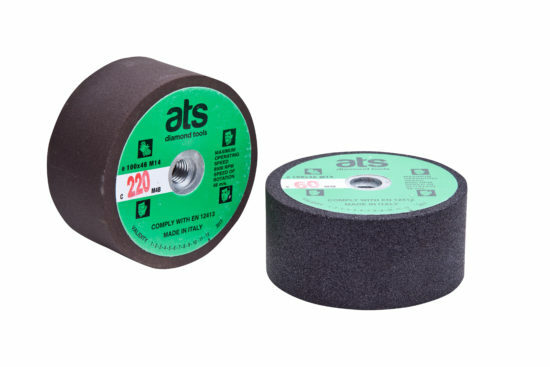 Longer lasting than Silicon Carbide brushes and ideal for brushing stone surfaces without the need for flaming. 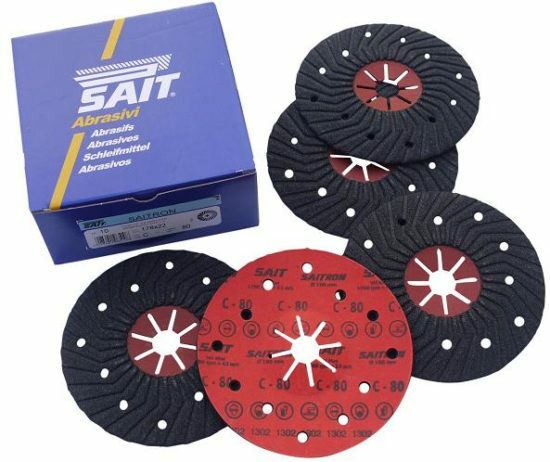 Available in a number of grits. 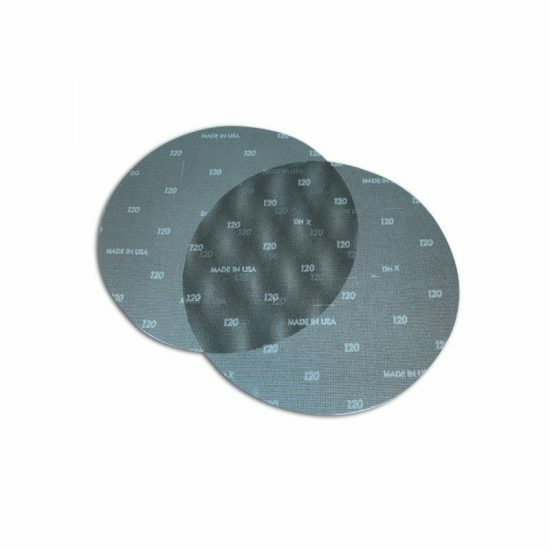 Snail lock or larger versions of these are available to order.